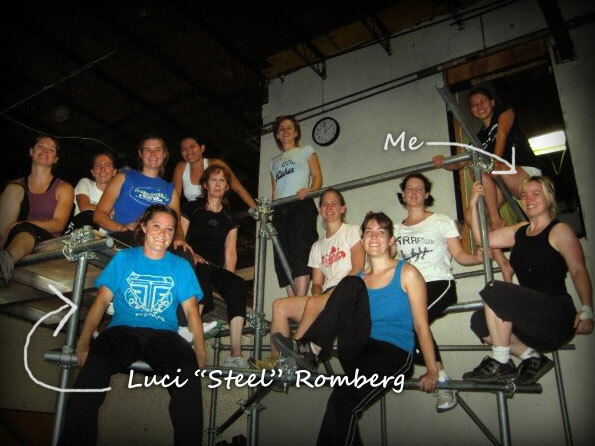 Luci “Steel” Romberg of the Tempest Freerunning family and five foot embodiment of most of my aspirations is making a movie. The Kickstarter page raising funds for the film says it “will combine top-level film making with world class freerunning as a way to visualize Luci’s journey and discovery of her own beauty truly is.” It goes on to say she struggled with an eating disorder until she discovered Freerunning which boosted her self confidence and changed her perception of beauty. As one of the worlds top freerunners, Luci is such an inspiration and I wish the project well. I’ve been lucky enough to see her in action and I’m not sure I’ve ever fully recovered from the experience of being exposed to that level of bad-assery. I hope the film will give her story the chance to reach a generation of young girls as well older folks like me. Plus how awesome is that poster up there? I need a poster like that of me. By the way if you donate $50 you can have your own signed edition of that poster. « Where have all the tough girls gone?